These bags of coins are a visual delight. 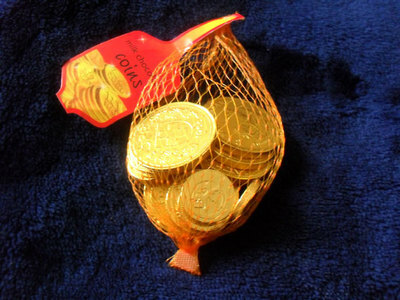 They are embossed and wrapped in gold aluminium foil and packaged in plastic netting. They taste wonderful. Creamy and light - leaving you with the feeling you just want one more, one more... There is no stodgy after taste. The chocolates are made by Steenland and Chocolate in Goudy, Holland, and runs as a subsidiary under Germany's oldest chocolate factory. Steenland exports customised medallions worldwide - different kinds of currencies, medallions. 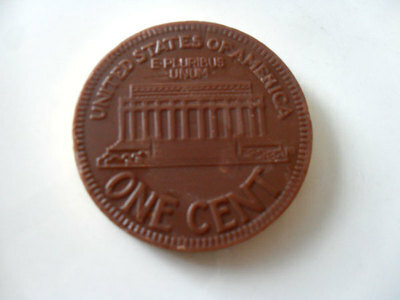 They started making chocolate coins in 1968. 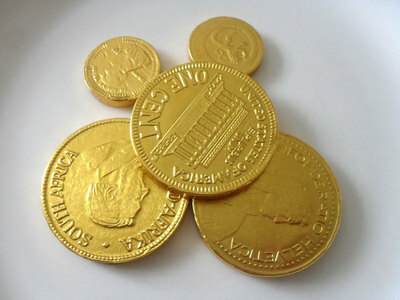 The small coins are 22 mm in diameter containing 1.7 g chocolate and the large125 mm in diameter containing 90 g of chocolate. The quantity is enough that you don't overdo it. 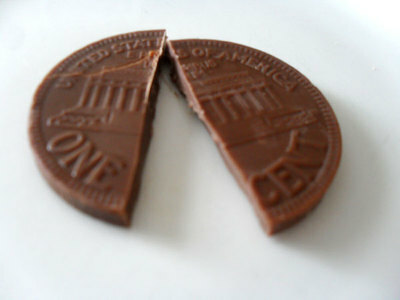 Great for a treat.